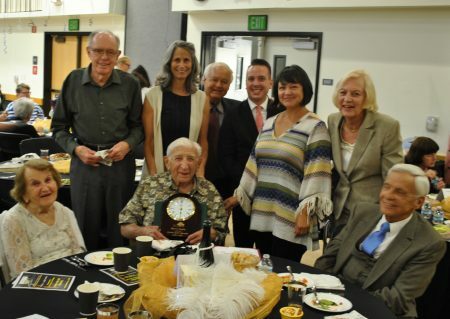 Thousand Oaks Senior of the Decade Harry Norkin with Conejo Valley elected officials, Thousand Oaks Mayor Claudia Bill-de la Peña, Supervisor Linda Parks and Conejo Recreation and Park District Directors Ed Jones, George Lange and Susan Holt. 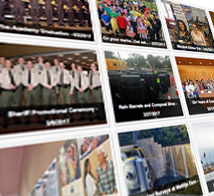 On May 7, a resolution to support 101/Liberty Canyon Wildlife Crossing was approved by 97 Southern California elected officials at the General Assembly of SCAG. 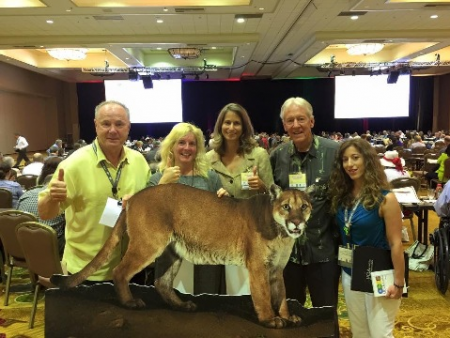 Pictured at SCAG General Assembly are Mountain Lion P-22, Los Angeles Councilmember Tom LaBonge, National Wildlife Foundation’s Beth Pratt-Bergstrom, UCLA Master’s student Aysha Rüya Cohen, and Resource Conservation District member Dennis Weber. 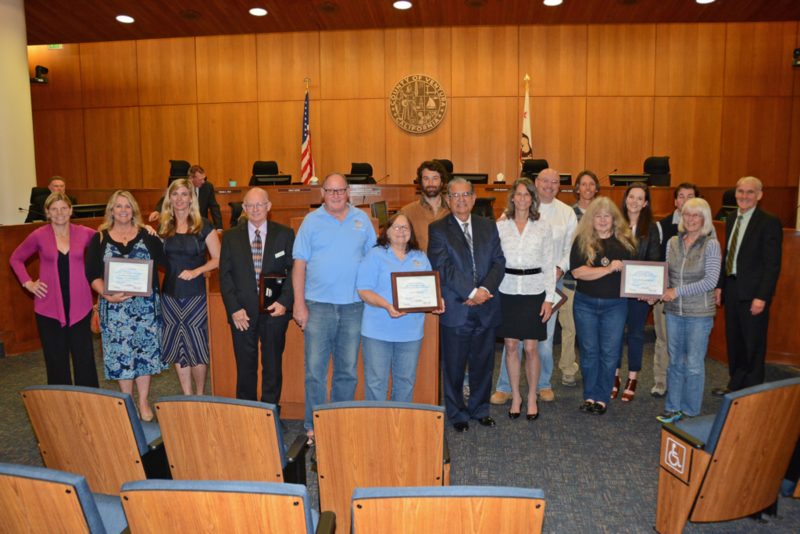 The five environmental champions are: The Matilija Coalition (District 1); Dr. Sean Anderson, California State University Channel Islands (District 2); The Port of Hueneme Oxnard Harbor District (District 3); Rancho Simi Recreation and Park District (District 4); and Nancy Pedersen, City of Oxnard (District 5). 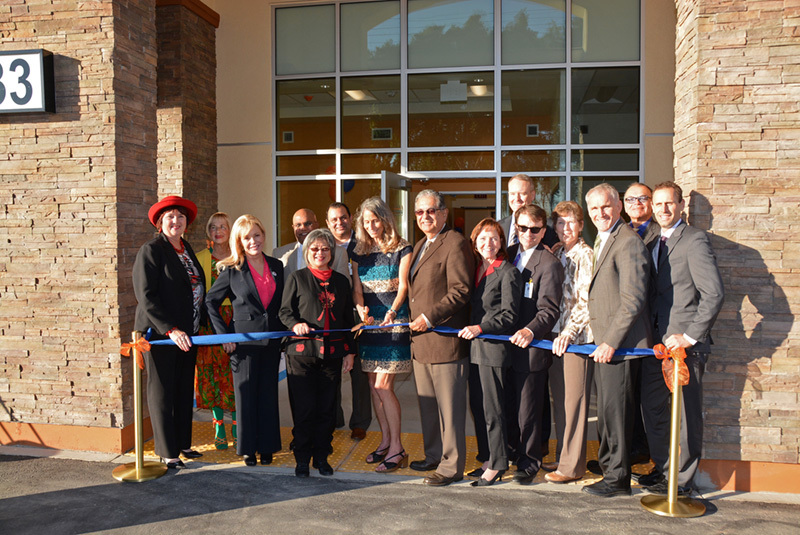 The ribbon cutting for Horizon View, the County’s first residential treatment center for people with severe mental illness. The County has oversight to ensure excellent care for these patients and a local center makes it easier for family and friends from the area to visit their loved ones.